Delightfully cool and sugary sweet, your patrons will love this Reading Soda Works 12 oz. ginger beer with their meals. Perfect for your bar's mixed drinks or your special event's non-alcoholic punch, ginger beer features a sparkling consistency and an attractive golden color. Its crisp, clean, slightly sweet taste complements just about any concession food. Offer ginger beer at your movie theater, stadium, or take-out station, and its fresh ginger flavor is also known for having natural soothing properties. Additionally, this ginger beer comes in a dark glass bottle for a classic, old fashioned look. Reading Soda Works has been hand crafting soda since 1921. Each and every soda they produce is caffeine and gluten free. Additionally, this soda is made with pure cane sugar and natural ingredients for the best taste. Prior to bottling, the soda is triple filtered and undergoes a slow carbonation process. This helps ensure that the carbonation lasts longer than other sodas. 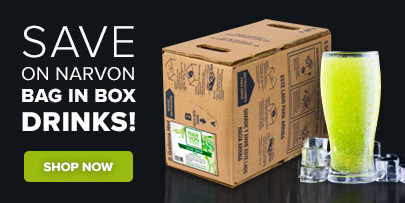 Give your patrons a refreshing, specialty soda that's sure to please! We have been using the same Ginger Beer at our bar for years. We were looking to try and cut cost so we picked up Reading brand Ginger beer. Very happy with the purchase. Tastes great! Glass bottle sodas look awesome in our sweets shop and add an ice touch to our nostalgic feel. 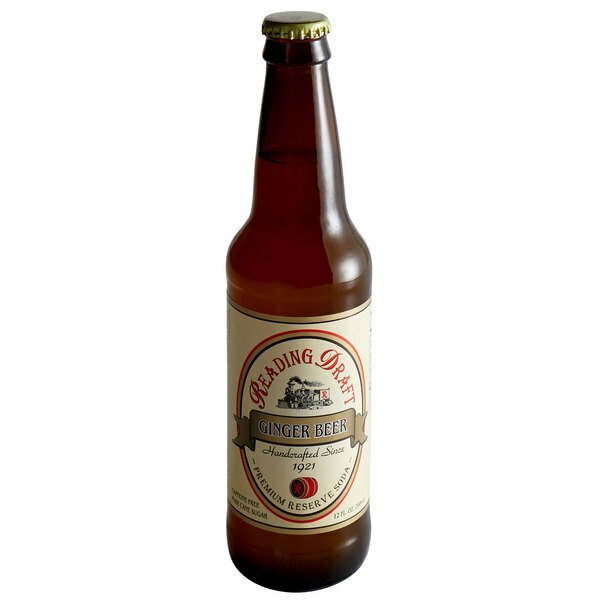 The Reading Soda Works brand ginger beer is an old style flavor with a great taste. A nice specialty soda brand that is top notch in quality. Reading's ginger beer is the perfect amount of spice and is great for making Moscow Mules. We used to buy our ginger beer from another company but we are not going to do that anymore. I personally love the taste of it and it makes fantastic drinks. It is now the only kind we use when we are making mule drinks for our customers. The ginger beer is amazing and is so tasty. A great brand and makes for a great specialty soda. Great for our bakery's drink cooer.